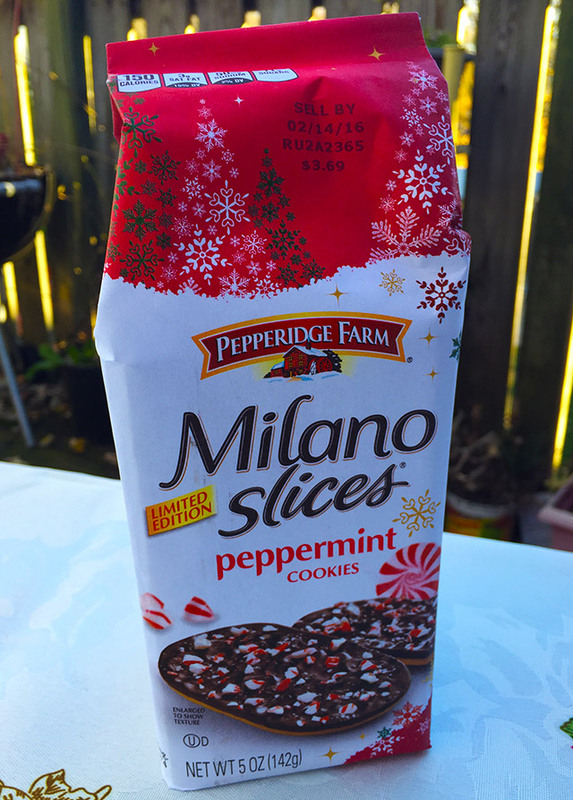 2015's Best Holiday Junk Food, Part 2! | Dinosaur Dracula! I’m so impressed with this year’s holiday junk food haul. We usually get a few neat things, but it seems like Christmas has finally adopted Halloween’s strategy of turning every imaginable snack into something for-the-now-and-now-only. 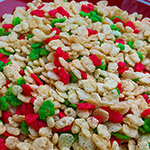 I already showed you five of this year’s best yuletide edibles. Below are another five. And I still have enough left to knock out 2-3 more additions to this series before December ends. We’re all gonna be so huge. These actually debuted last Easter, but I much prefer the new winter digs. 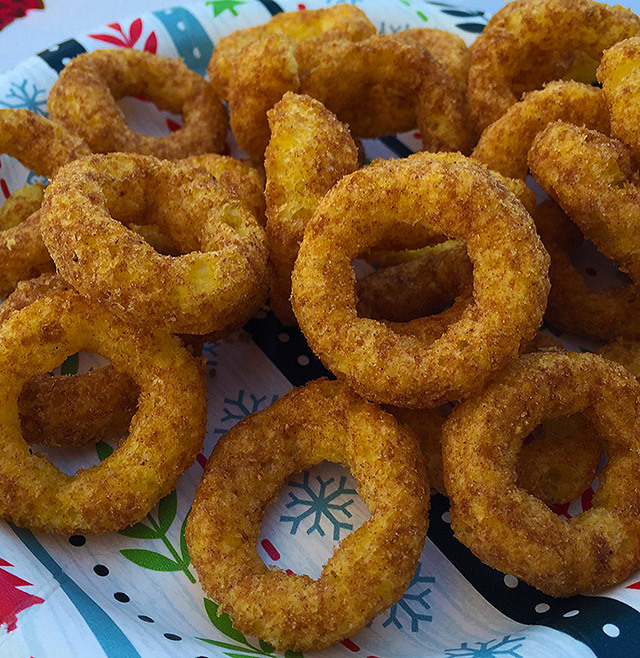 Cheetos Sweetos replace the usual cheesy dust with cinnamon and sugar, forging weird faux onion rings that smell exactly like Cinnamon Toast Crunch. 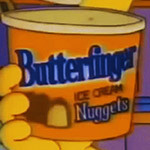 It’s like junk food’s version of The Homer. I admire the effort, but I can’t call them a favorite. 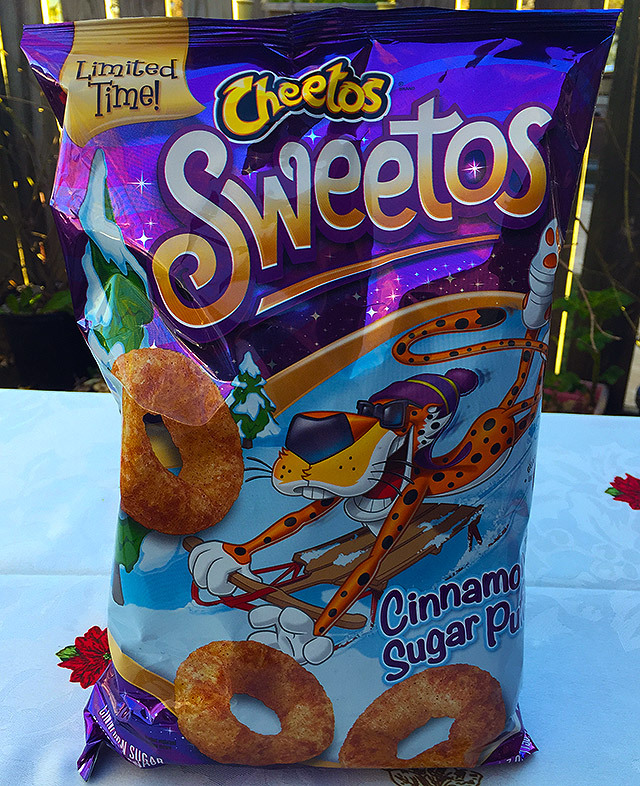 Cinnamon doesn’t blend into Cheeto meat as well as cheese does, so it’s like a flash of sugary flavors followed by three difficult bites of bland, naked Cheetos. They’re not disgusting or anything, but if I’m going to allow myself Cheeto levels of saturated fat, I think I need actual cheese. Plus side? The shiny purple bag makes you feel like you’re buying a 1992 comic book with an exploitative limited edition cover. Guys, this is the one. The Hostess snack I’ve been waiting for. 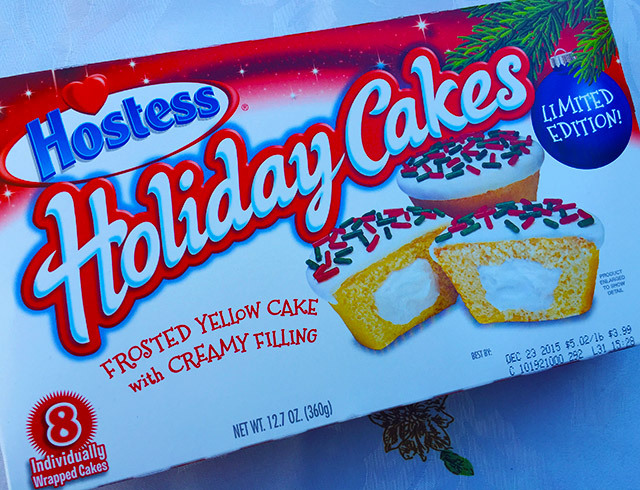 Even casual readers know that I play favorites with Hostess, because even when their cakes misfire on the taste front, I’m just so appreciative of the holiday “seasoning.” I often think of them more as decorations than food. 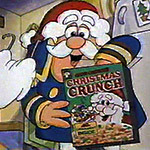 Real talk: Whenever an existing junk food redresses itself for a holiday, it usually pales in comparison to the original. With these Holiday Cakes, it’s different. These are absolutely the best Hostess cupcakes I’ve ever had. Yes, they’re even better than the traditional chocolate ones with the dramatic icing ribbons. They’re THAT good. 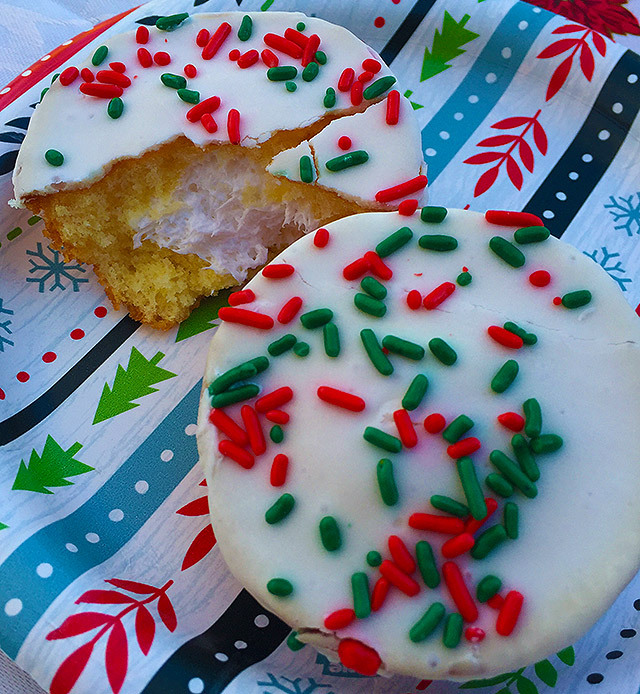 Remember those cupcakes from your grade school Christmas parties? Hasty and misshapen, but unfairly delicious? These are them. 100% them. They have a “homemade” ambiance. When you bite them, you’re suddenly seven. When they’re gone, I will wear black and clutch rosaries and never be whole again. 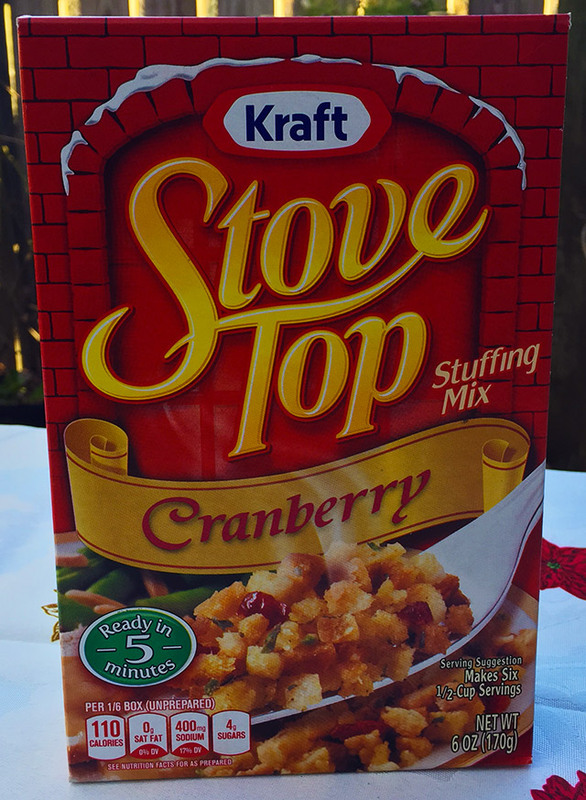 Stove Top Cranberry Stuffing Mix! I’m not sure if it’s new-for-2015, but I’d never seen it before this week. 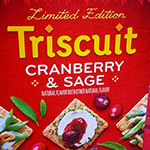 It’s basically just Stove Top stuffing with a bunch of dried cranberries thrown in, which seems like a needless convenience until you notice the special holiday box design that looks like a Christmassy crematorium. Yes! I love Stove Top, but on major holidays, sorry, I need my stuffing to be homemade. Stove Top just can’t compare to that lavish wok full of a whole freakin’ buffet of ingredients. Still, on a day like today — a day when I’m excited about Thanksgiving and wanting Thanksgiving food — it’s a nice stand-in. 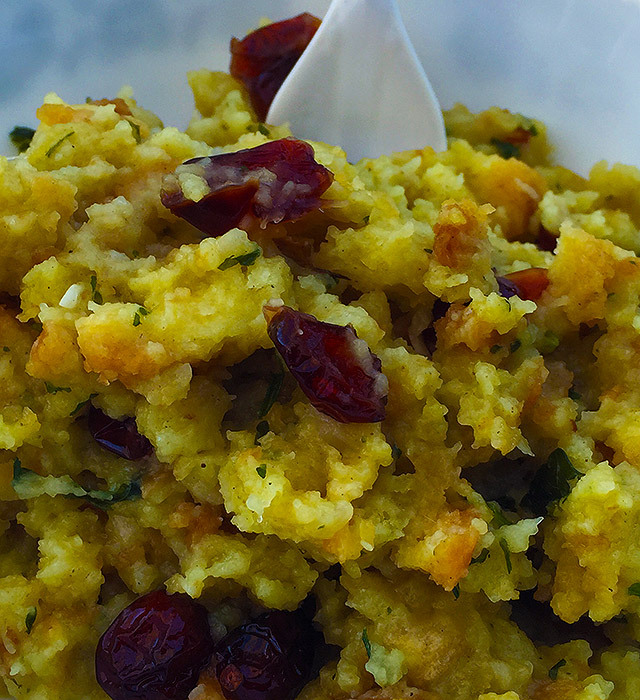 Throwing “real” cranberries into regular Stove Top would make for a tastier dish, but this mix does what it promises. 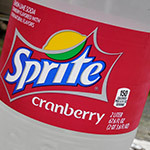 Kraft also came up with the perfect stuffing-to-cranberry ratio: Enough cranberries to notice, but not so many that non-fans will have trouble picking them out. For what it’s worth, it must be pretty good, because I’m consciously attempting to plow through this article so I can go attack the leftovers. These aren’t new, though I don’t think they’ve come in such bold packages before. I was halfway expecting the chocolate to be dyed in similar hues. 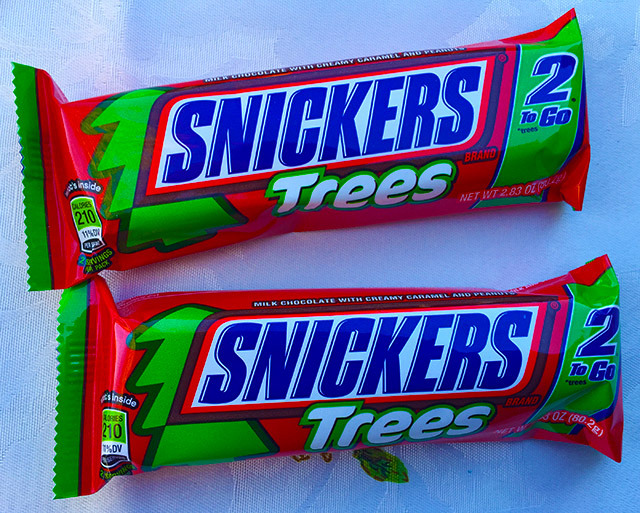 Snickers Trees don’t have the same satisfying “compactness” of regular Snickers bars, but they’re still pretty good. I’d recommend them for use as stocking stuffers, because no Christmas stocking is complete without chocolate melting to death inside. Still, they’re just so sophisticated and delicate. They feel like something serious adults should eat while sipping expensive coffee over a tablecloth that costs more than my comforter. Getting that much class out of a three dollar bag of Pepperidge Farm cookies rocks. 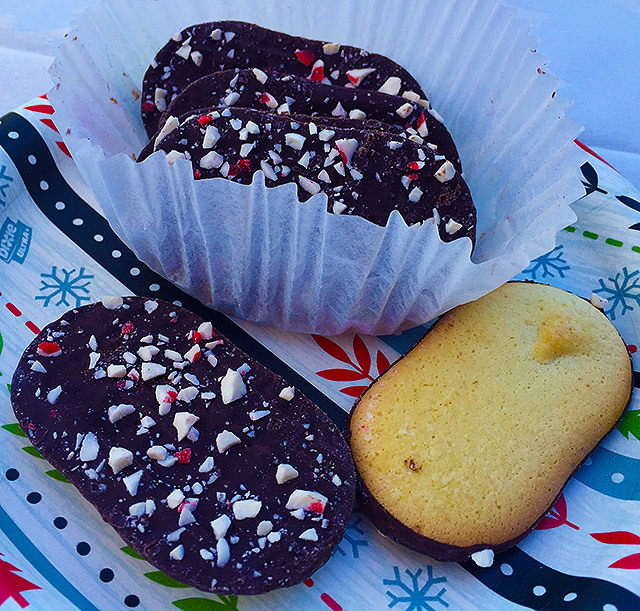 The thin cookies are smeared with chocolate and then topped with crushed peppermint candies. 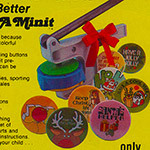 (REAL peppermint candies — those bits are bulky, sharp and potent.) They taste fancy, if that makes sense, and they’re also way lighter than you’re probably expecting them to be. These aren’t the sort of cookies to eat while sinking into the couch during a Roseanne marathon, but if you’re having people over who generally dress better than you, break them out. 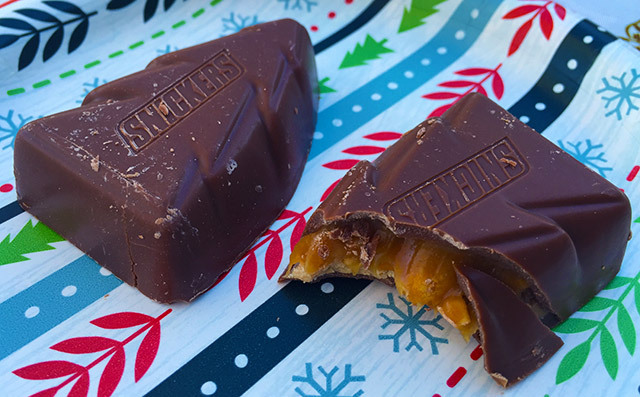 Thanks for reading about more of this year’s best holiday junk food. Have a delicious weekend. PS: If you didn’t catch my note on Twitter, yes, The Purple Stuff Podcast is on a one-week vacation. We have a big show planned for next weekend, though. Stay tuned!